Sarah Whalley, who, together with Steve Nicholls, produced and directed the documentary, shares her and the team’s experience when it came to depicting the many ways ‘Unnatural Selection’ could go. 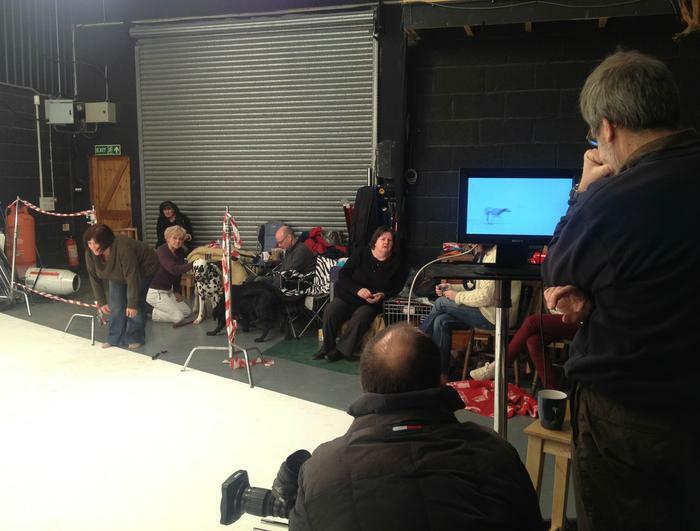 Filming ‘Unnatural Selection’ involved a lot of preparation and careful planning. One of the greatest challenges to the team was how to show the process of Unnatural Selection. Humans have added a new dimension to natural selection but how could we tell this story? It forced us to think in ingenious ways. 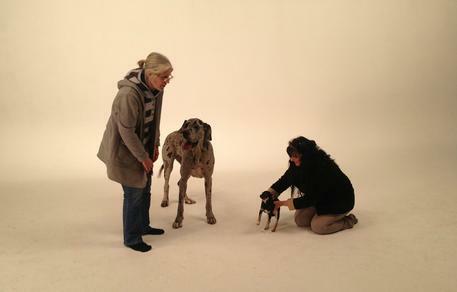 The domestication of dogs through artificial selection was easy to show, there are so many different types – from Great Dane to Chihuahua – that look nothing like a wolf. 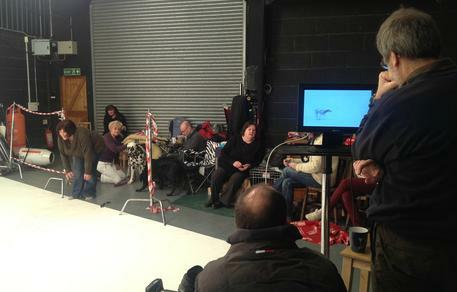 For the crew to film this they needed a studio with a very relaxed owner, some patience and of course lots of dogs and their owners. So, armed with dog treats and a never-ending supply of kitchen roll for those inevitable accidents we were ready. 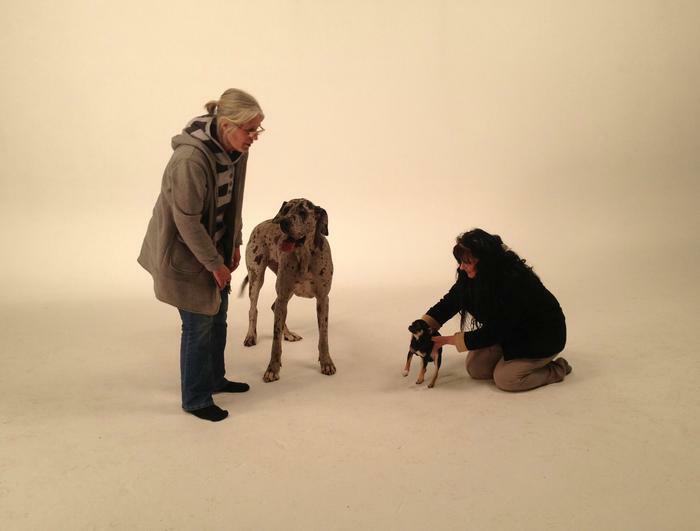 But getting the dogs to do exactly what we had in mind was much more difficult. After 30 thousand years of selective breeding we still haven’t got it quite right. We wanted to get shots of all the dogs walking through frame against white but it was definitely easier said than done. No matter how hard the owners tried, when faced with the fun of playing with other dogs they just wouldn’t focus. But after a lot of patience, running around and bribery with food we got there in the end. Cliff swallows in Nebraska have taken to nesting on freeway bridges, which puts them in serious danger of being hit by a car or truck. For the crew filming swallows returning back to their nest, this was also a possibility. 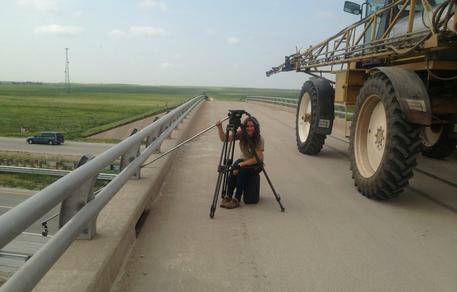 Producer, Sarah Whalley held a GoPro camera sitting on a bridge over a busy freeway to capture the shot. Everything was working out fine until a huge agricultural tractor drove past and made the whole bridge wobble! 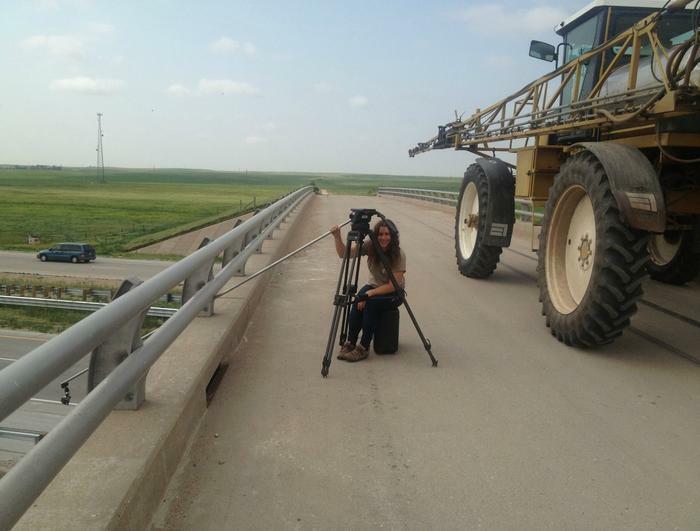 We got the shots required in the end but cameraman, John Waters captured the moment the tractor drove by. When the team began filming ‘Unnatural Selection’ we knew it would be a challenge but we didn’t expect we would have to wear a costume! The common crane was a species struggling to survive in the modern world. Its wetland habitats were drained and it was hunted for food so their numbers fell dramatically. Luckily for the crane the Wildfowl and Wetlands Trust at Slimbridge are trying to re-establish a wild population on the Somerset levels in south western England. In order to avoid the cranes becoming tame however, the team at Slimbridge have to go to extreme lengths. To ensure the cranes don’t see them as human beings they disguise their body by wearing a rather unflattering grey costume. 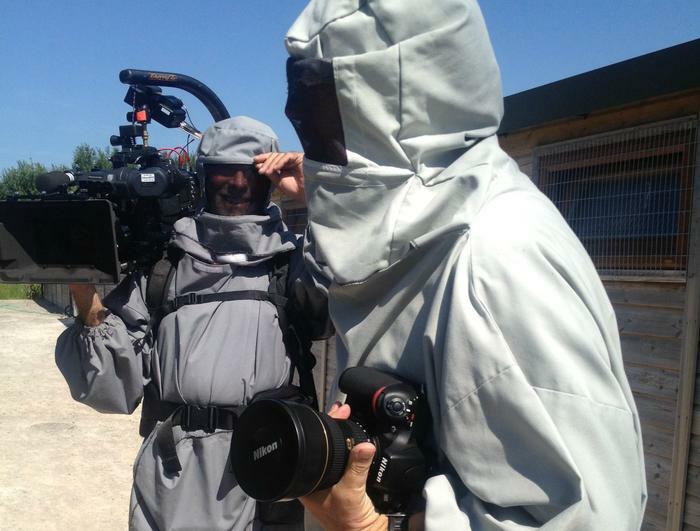 And this is also what cameraman John Waters and Producer Steve Nicholls had to wear on a hot day in July when filming the crane team in action. 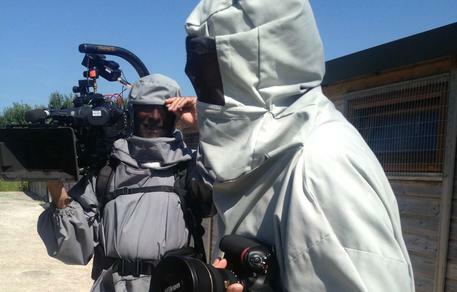 Well, nobody said natural history film making was glamorous! To read more about the documentary ‘Unnatural Selection’ and to watch the trailer, please follow this link which will take you directly to the production’s page.